Like many new moms, Marin mompreneur Lucy Conroy wanted to create a business that would allow her to both stay at home with her baby and still be able to work. She created Babalus, a line of fun kids' leggings and other clothing with cool artist-designed prints, all made by hand here in California. She's currently running a Kickstarter campaign, ending on March 13, 2019, to fund the launch of her new line of Babalus children's shoes—all-leather moccasins featuring some of the same prints as in her clothing line. You can connect with Babalus on Facebook and Instagram, too. We caught up with Lucy and chatted with her about herself, her family, Babalus, and why she loves living in Marin. I was born and raised in Marin County, as well as my parents. I grew up in San Anselmo and now live and Novato. Before having my daughter I was in the wine business for seven years. What inspired you to start Babalus? In March of 2016, I found myself in a position that many moms can relate to after the birth of a child … having to decide between returning to work or finding a way to stay home with my beautiful baby girl, Robin. I couldn’t bear the thought of leaving her every day, so I was determined to start my own business that I would be able to run from home. What were your biggest challenges in getting it off the ground? I was clueless on what I was going to be able to make and sell from home in order to raise my daughter full time. I decided that if I could find one thing, and make it well I would be successful. I decided to try my hand at sewing. Looking back, it’s a bit crazy to think that I had absolutely no sewing experience prior to the day I decided to take the plunge and purchase my first sewing machine from Craigslist. My husband and daughter Robin, gave me the motivation to teach myself to sew and I soon found my niche in making children’s leggings … but simply sewing leggings wasn’t going to create the business and brand that I envisioned for myself. I needed to create a product that was totally unique to me. I began reaching out and working with artists who could bring my ideas to life and design fabric prints exclusively for my shop. From there, Babalus continued to grow and the journey it has taken me on has exceeded even my wildest expectations for this little business I’ve built. What began in an impromptu sewing area that had taken over my dining room has grown enough to have allowed me to move into a freestanding studio completely devoted to providing one-of-a-kind products to my amazing customers. I’ve also connected with an incredible team of women and seamstresses who continuously help me keep up with the ever-growing demand for my products. It’s not easy. The toughest challenge for me is finding that balance, especially since my husband and I don’t want our daughter relying on technology, so trying to stay connected with my customers and social media while not being on my phone constantly in front of my daughter is a daily challenge. I have been blessed to find two women who assist me in my customer service and social media to allow more time with my daughter while she is awake. I do majority of my business between the hours of 8 pm and 1 am when she is sleeping. What is your favorite thing about your business and customers? The amount of support and friendship they give me. They enrich my life, and hearing their stories, and connecting mom to mom has been amazing for me. I am forever grateful for the wonderful group of women who trust me to make goodies for their little ones and continue to support my dream of what I Hope Babalus will become. We have an amazing group on Facebook Babalus VIP where we all stay connected and it is an amazing community to be a part of. 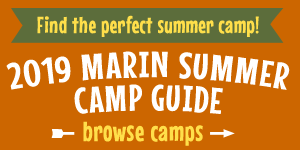 What do you and your family love most about living and working in Marin? My husband and I both have family here, so Marin is definitely our home. We purchased our first home in Novato in 2011, and have loved raising our daughter in this community. I love the activities available for stay at home moms to do with their children daily. From art class, to gymnastics we are able to keep our daughter learning and engaged with other kids despite not going to daycare.